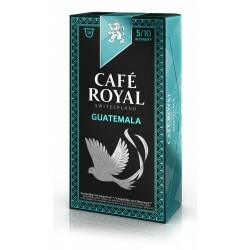 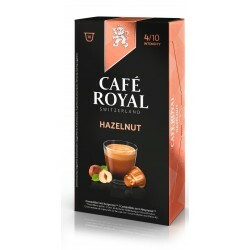 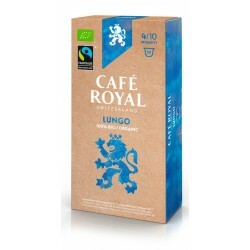 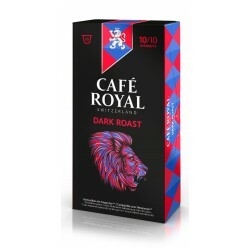 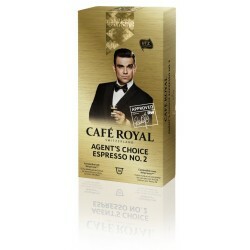 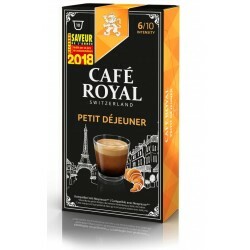 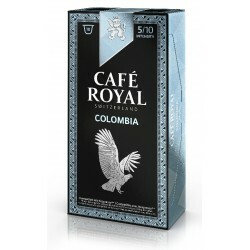 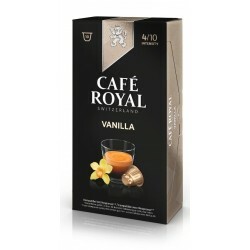 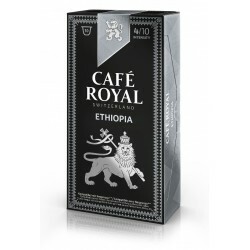 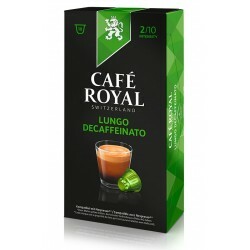 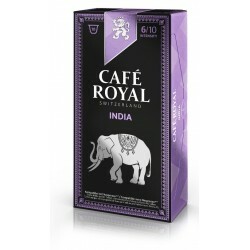 Café Royal Dolce Espresso coffee compatible Nespresso ®. 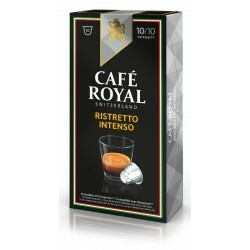 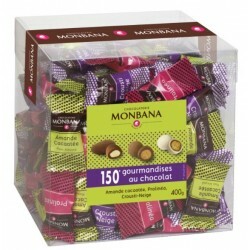 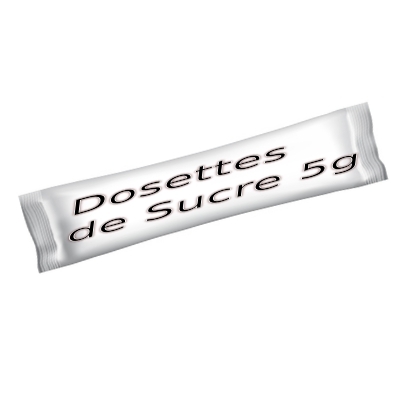 Dolce Espresso Café Nespresso ® compatible capsules. 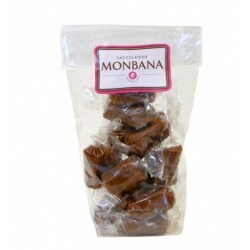 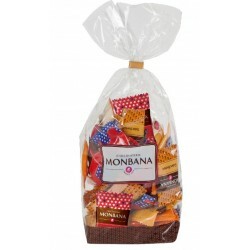 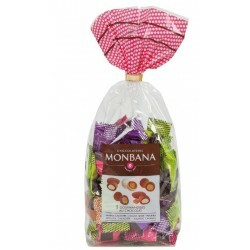 Dolce Espresso is a special edition of Italian coffee. 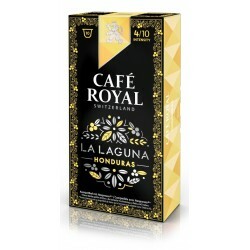 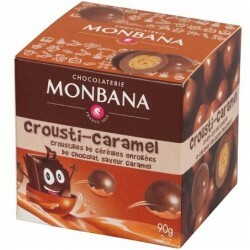 It has a relatively powerful body with a very pleasant acidity and a delicious nutty final note, its intensity is 9/10. 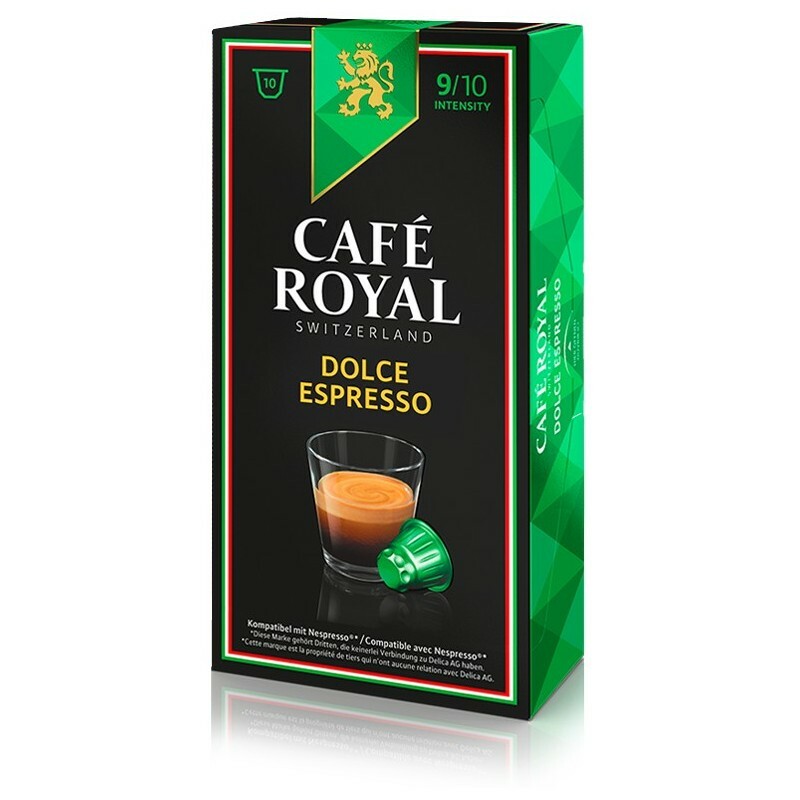 Dolce espresso is a 100% arabica capsule of the Café Royal brand, compatible with Nespresso ® coffee makers, with an intensity of 9/10. 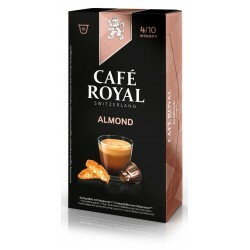 A raspberry tiramisu is the perfect accompaniment to enjoy your Café Royal Dolce Espresso capsule. 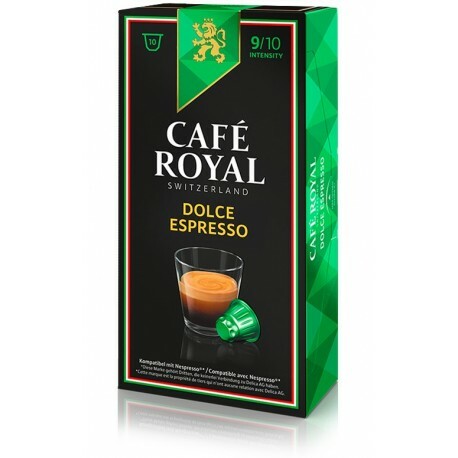 The recipe for this Dolce Espresso capsule is produced by Delica AG, a recognized Swiss coffee roaster and owner of the brand.